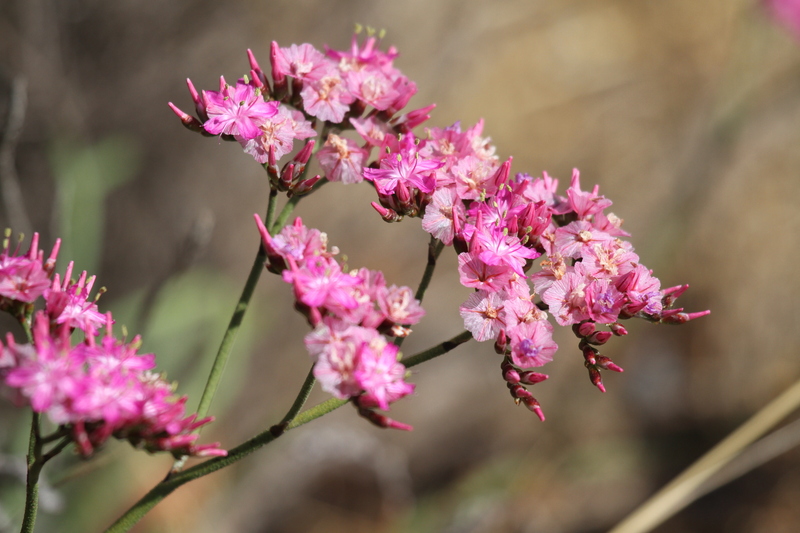 Whilst visiting the West Coast National Park, we saw this stunning wild flower with its papery flowers that are so pretty, pink and delicate looking. We identified it from the “Field Guide to Wild Flowers of South Africa”, it is called Strandroos (English translation, Dune Rose or Papierblom (English translation Paper Flower) (Limonium perigrinum) found mainly in the sandy dunes of the Western Cape. They normally flower in the Summer. Thank you Cassia, beautiful flowers and just coming into bloom at West Coast National Park right now. I have grown up on a farm near the small town of Koringberg. Around our school in town there were flowers growing so wild in the veld. Some flowers were white, others a strange colour of light to medium blue. We used top speak of them as “papierblomme”. Maybe you can advise me on the name of the specific flowers. They have straight upright stems and were hard to pick with the hand. In spring and I think part of summer they coloured the veld with a mixture of pink and blue flowers – about same as flowers when they open as in Namaqualand. If not I will ask amongst my botanical friends and see if they can give me more information.